Moteurs Baudouin’s new range of M33.2 high output marine engines, launched this January for fishing and commercial markets, is now available to UK & Ireland customers from the distributor, Proteum. The M33.2 has been designed specifically for the marine environment and extends Baudouin’s portfolio into the 650HP -1500HP range, offering the flexibility of two specifications, the 12M33.2 V12 39.2 litres and 6M33.2 straight 6 19.6 litres. Its high engine capacity, relative to the horsepower, is designed to conserve engine life in high strain, load bearing applications such as fishing trawlers, offshore support, workboats and ferries. Operational and through life costs are low in accordance with Baudouin’s reputation for designing low fuel consumption engines. A proven and simple design eases maintenance to minimise downtime. Customers benefit from the world-wide technical expertise and service support from authorised Baudouin distributors, such as Proteum, the marine products specialist, which is part of the SC Group engineering business. It operates from Hamble, UK, offering complete powertrain solutions, providing sales, commissioning, technical support, spares and servicing as well as service maintenance agreements and training. 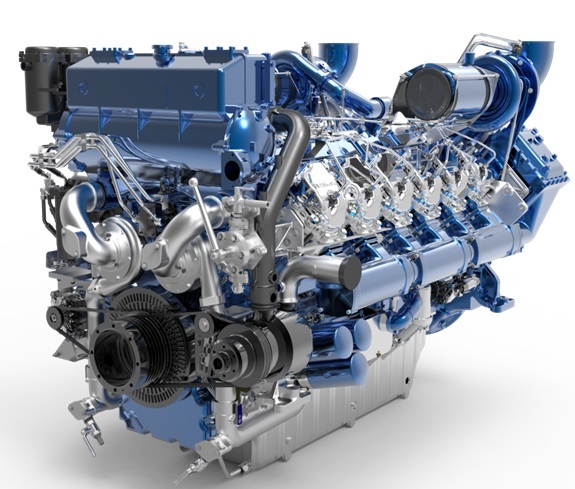 Jeremy Paul, General Manager of Proteum, said, “The M33.2 is an exciting new engine delivering significant operational savings to commercial and fishing operators and Proteum is looking forward to talking to customers and supporting them through its introduction and service life ”. Moteurs Baudouin has built a reputation for an unparalleled range of marine diesel engines, marine generators and auxiliary engines for the demanding commercial marine, fishing and shipping sectors. The company is now part of the Weichai Power Company and continues to develop new products that offer exceptional reliability and low through life costs.